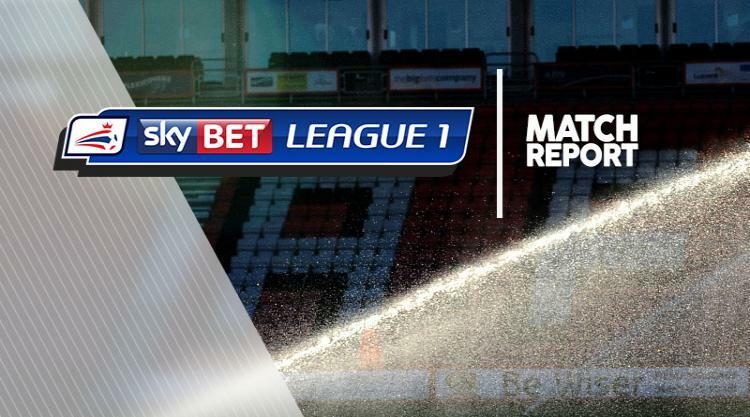 MK Dons made their one-man advantage count as they came from behind to secure a 2-2 draw at Scunthorpe. The Iron had gone in at the break 2-1 ahead on the back of goals from Hakeeb Adelakun and Kevin van Veen, but the turning point came in first-half stoppage time, when home midfielder Neal Bishop was shown a red card. The Dons had looked the most dangerous side during the opening 45 minutes but struggled to find a way past inspired home goalkeeper Matt Gilks before Kieran Agard finally equalised three minutes before the break. Scunthorpe's response was instant, with Van Veen following up a Duane Holmes shot within 60 seconds of the equaliser to score from close range. However, the half ended on a sour note for the hosts when Bishop was red-carded for having been deemed to have elbowed Chucks Aneke. The Dons spent much of the second period on the front foot and levelled for a second time in the 66th minute via Aneke's header from a free-kick which the visitors could count themselves unlucky not to have been a penalty. And but for some better finishing from the scorer - who was off target three times in the closing five minutes - they could have had all three points.